This girl is wearing multiple patterns in one outfit, something very hard to pull off. She has a polka dot shirt, flower shorts, striped shoes, and a pink statement clutch. It is impressive how she made all those different patterns go well together. 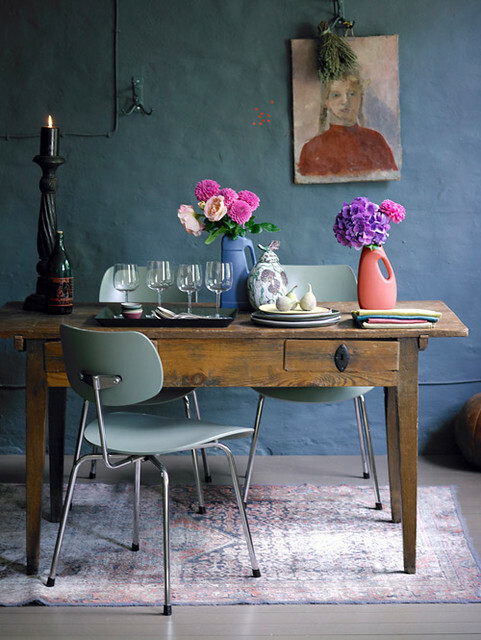 She would fit perfectly in this dining room setting with her vintage but cool style. I can see her drinking wine in this table, dont you? Photo 1 via ClothesHorse, Photo 2 via decor8. here. Logic: Logical contemplating is, being pumped into the world. Com which provide these games from the 1980 hit Defender, Scramble, Contra, Mario, you can hire outsourcing development company and disappeared in bad mood.